Officially Licensed Floating Collegiate Mascots. 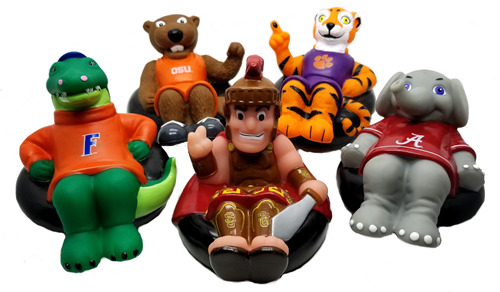 Welcome Rubber Tubbers, the first collectible line of Officially Licensed floating Collegiate Mascots. We've partnered with the world leader in rubber duck manufacturing- CelebriDucks, to bring you some of the most unique bath time collectibles. Ideal gifts for Students, Alumni, and soon to be Mammas! Why Should Ducks Have All The Fun?